I think that mascara completes any makeup look, and if I'm honest without it my eyes feel naked. For today's post I'm going to be comparing four mascaras that each have their own pro's and con's. 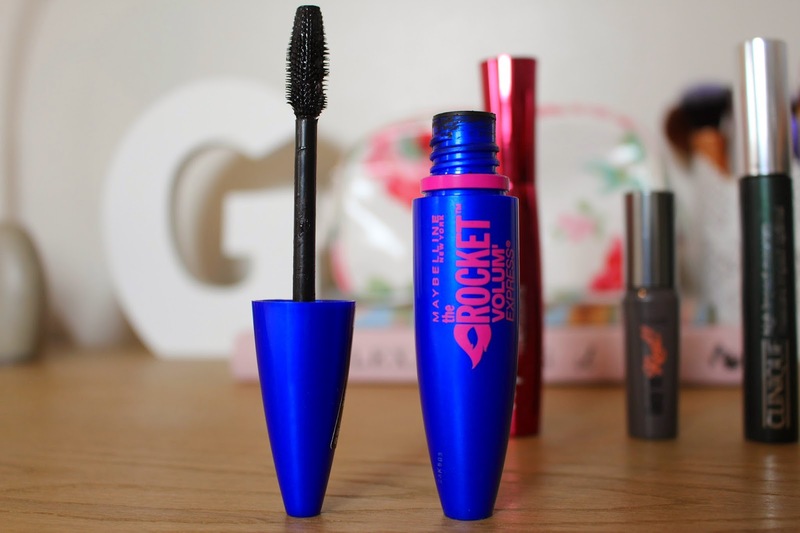 I am a huge fan of all Maybelline mascaras I've tried and this is no exception. This mascara claims to be volumizing rather than lengthening. 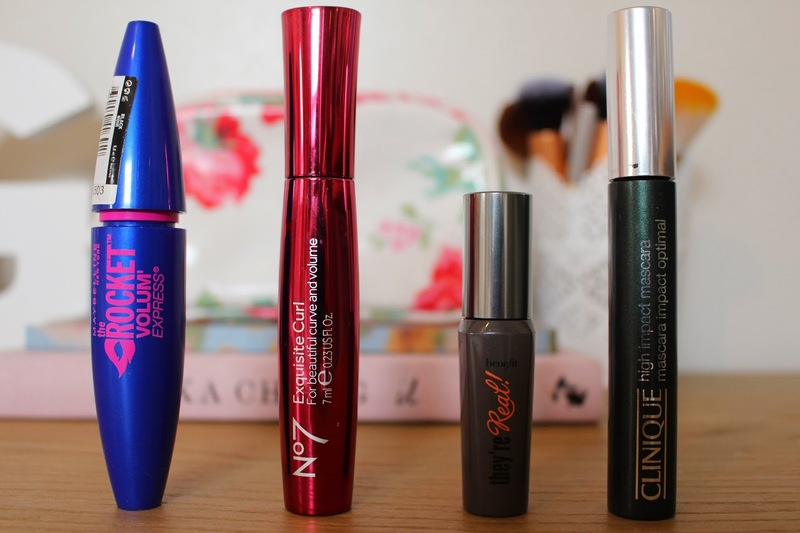 I prefer to go for volumizing mascaras because I find them to hold a curl better. 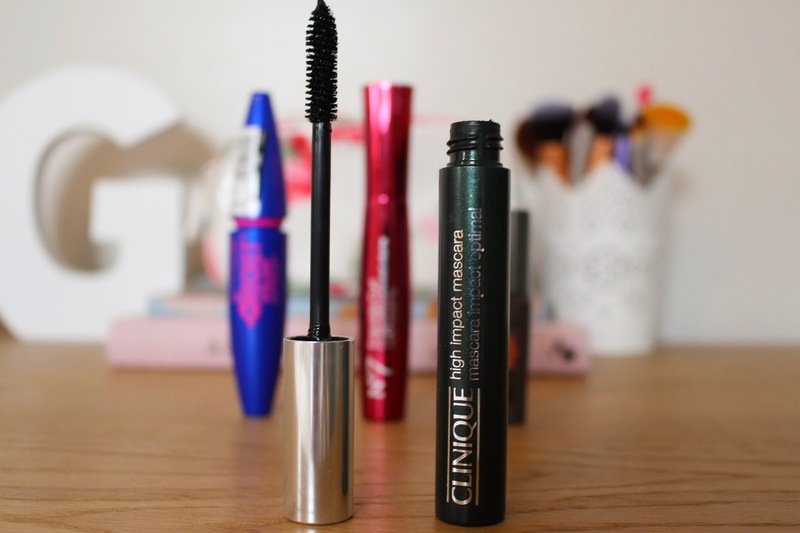 You can use numerous coats of this mascara and it won't go clumpy. The wand is fat with short bristles, which really helps to separate your lashes and give a natural yet voluminous look. However if your looking for length then I wouldn't recommend this. This is more on the expensive side of a mascara I would usually pick up, however I got it in one of the gift sets. I have never tried Clinique mascara so I didn't really know what to expect. In my honest opinion for the money I don't think this mascara is worth it. It does lengthen your lashes. However I don't really feel it gives me the volume I like, it's for that reason I wouldn't recommend it. Also the brush has very thick bristles and it is the actual brush wand, when I prefer the plastic wands. I find you can't apply to many coats without it going clumpy, although it does thicken up your lashes as a second coat mascara. Overall I think this mascara is overpriced for what it is. The Benefit They're Real mascara is super hyped up in the bloggersphere. As you can tell I only have the sample size as it is very expensive mascara. However it is one of my favourites. Like the Rocket it is a plastic wand, so really separates your lashes whilst keeping them thick. This mascara is meant to do everything; volumize, thicken and lengthen. I can truly say it does all three, I love the way it leaves my lashes and it can hold a curl all day. The only bad thing I have to say about this mascara is that the bristles are quite sharp so it almost really like your poking yourself in the eye each time you apply it! But that aside this is a great mascara and I'm definitely looking to pick up the full size. 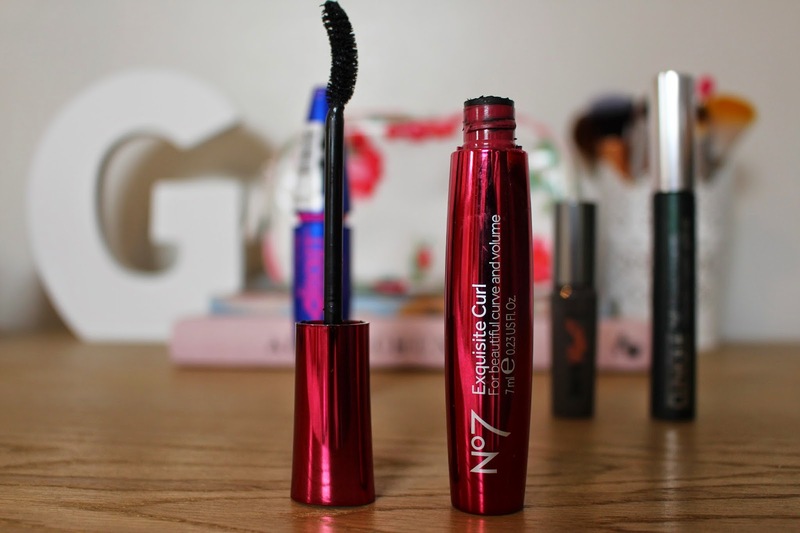 Like the Clinique mascara's I have never tried No7 mascara's, however when I went into Boots I saw this in the sale section for £5 so I couldn't pass it up. I was slightly disappointed as yes it does claim to hold a curl which it does however it does nothing else for my lashes. I just adds black to it, it doesn't noticeably lengthen or volumizes. The brush is quite thick and is curved which helps your lashes hold a curl for longer. Although it gives your lashes a fluttery effect, I wouldn't recommend this mascara. I think that all No7 mascaras are slightly overpriced for what they are, I would sooner buy a Maybelline mascara for better quality that's cheaper. Those are the four mascaras I will be comparing, They're are some great ones and some bad ones. But when I find a good mascara I tend to stick to it for a while and am too lazy to find a new one. I hope you enjoyed this post and thank you for reading. 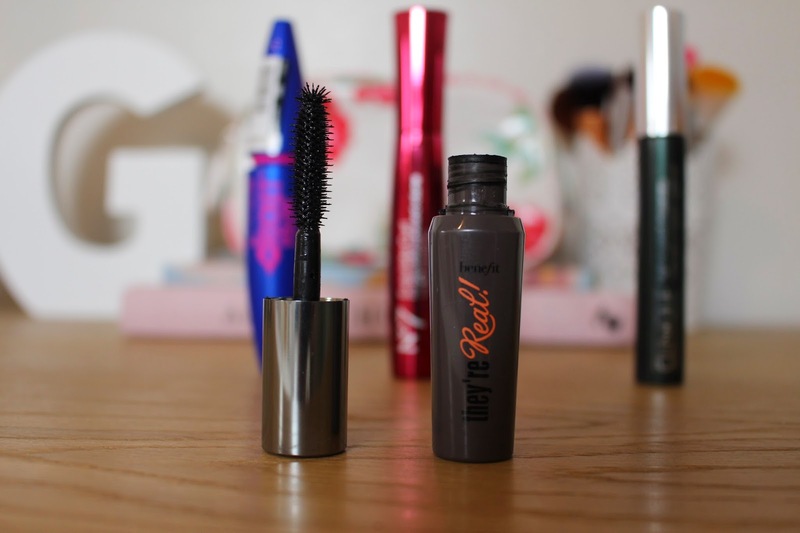 The They're Real mascara is also one of my favourites :D sadly, me and maybelline mascaras don't get on, and i end up looking like a panda by the end of the day :( great post!